Synopsis: Sabine De Barra, a female landscape-gardener is awarded the esteemed assignment to construct the grand gardens at Versailles, a gilt-edged position which thrusts her to the very centre of the court of King Louis XIV. It’s been a while since Alan Rickman directed a film –The Winter Guest 1997 – but with the glorious stately romp, A Little Chaos, the wait has been worthwhile. 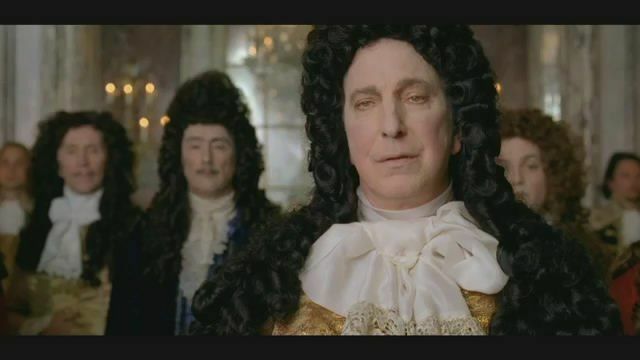 Rickman himself also stars as the Sun King Louis XIV in this reimagined period romance. Set in 1682, A Little Chaos has King Louis commission his celebrated landscape designer, André Le Nôtre (Matthias Schoenaerts) to oversee the creation of an outdoor ballroom as part of the Sun King’s grand expansion plans at Versailles. Le Nôtre decides to take a chance on talented outsider Sabine De Barra (Kate Winslet) to bring a new approach to the project. Despite being initially perturbed by her free-thinking style, he soon begins to appreciate the value of her method of ‘a little chaos’. As Sabine works tirelessly to make her plans for the Rockwork Grove a reality, she must negotiate the rivalries, intrigue, backstabbing and etiquette of court. Though many hope to see her fail she finds unlikely allies and a blossoming romance. With a witty, biting comedy script there are scintillating performances from the top ensemble cast – particularly Stanley Tucci as the King’s brother, Philippe. The film excels as a very human, passionate and creative escapist take on a potentially dry period costume drama.